You might think finding good seafood in landlocked Bend would be difficult, but don’t tell that to Balthazar Chavez, owner of Balthazar’s on Bend’s Westside. The son of a fisherman from Mazatlan, Chavez has always had a great respect for the fruits of the sea and has brought them to Bend with a distinctive Mexican flair. Tucked in a quiet location on Century Drive, Balthazar’s is open for lunch and dinner. Start your meal off with a house made margarita, which shuns pre-made mixes in favor of fresh squeezed lime juice, natural flavors and a wide range of premium tequilas. 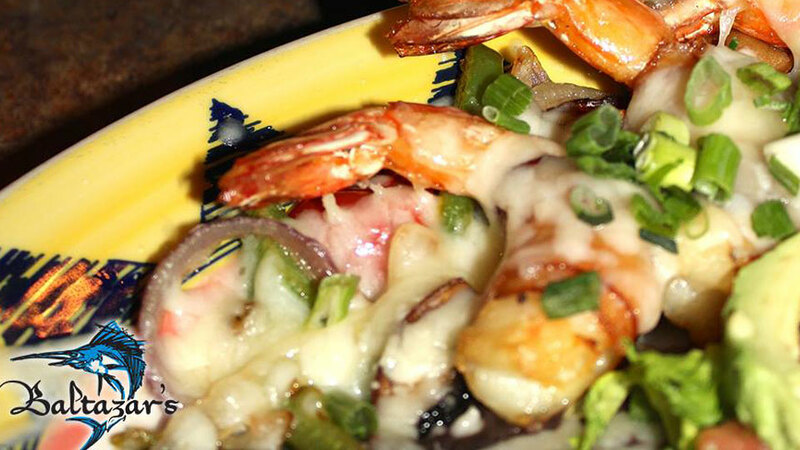 On the menu, you’ll discover seafood perfectly integrated with familiar Mexican dishes. Lobster enchiladas, seafood rellenos, spicy octopus ceviche and shrimp molcajete are just a few favorites. While Balthazar’s is known for its seafood specialties, there are plenty of “turf” options to enjoy, including mixed plate fajitas, carne asada, chicken mole, arroz con pollo and steak empanadas. Don’t be surprised if Balthazar brings these delicacies to your table himself, along with a warm welcome to his home away from home and effusive descriptions of the dishes he has carefully conceived of and prepared. Reservations are recommended and patio dining is available on warm days. And when those days turn into cool evenings, a big basket of blankets and patio warmers stand at the ready so you can extend your stay at Balthazar a bit longer.